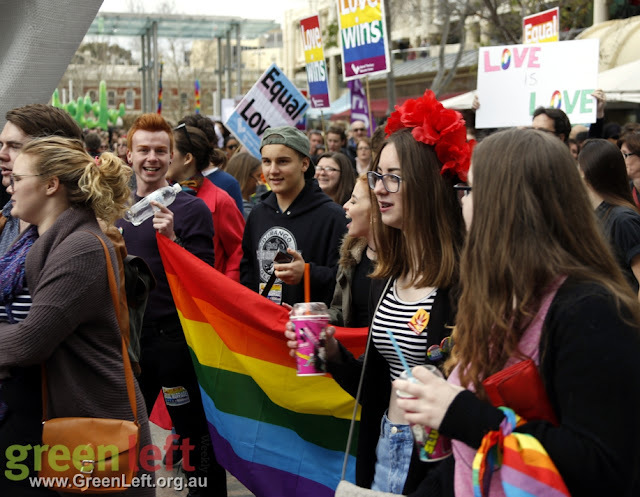 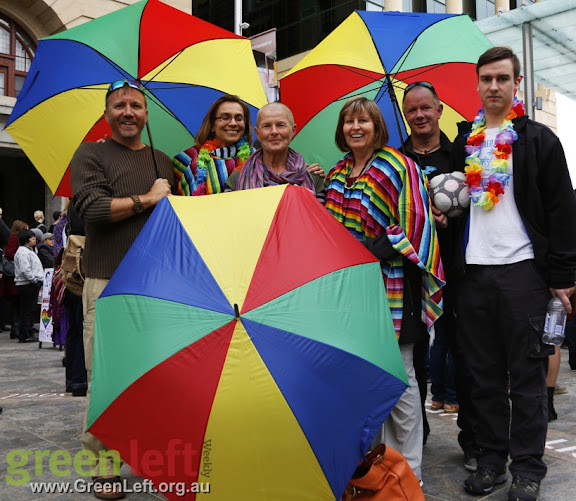 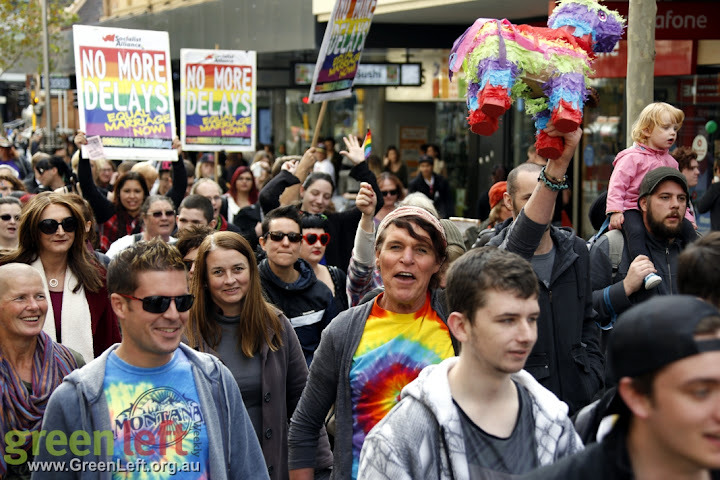 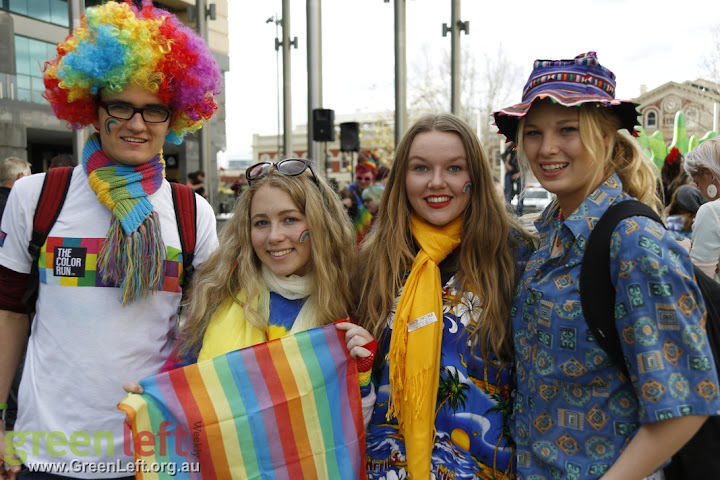 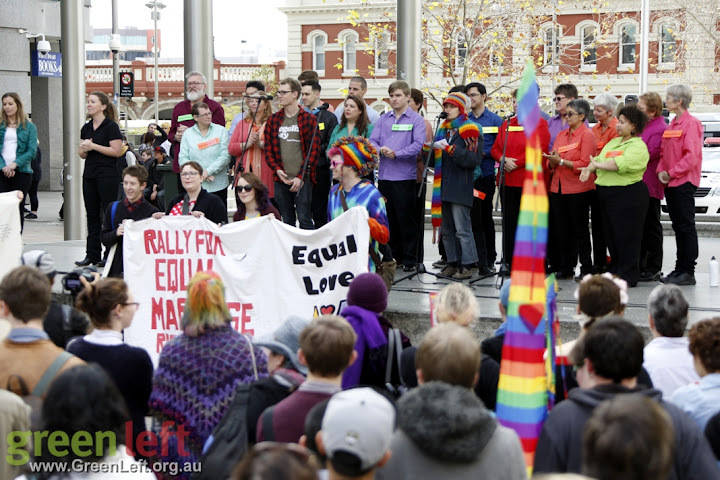 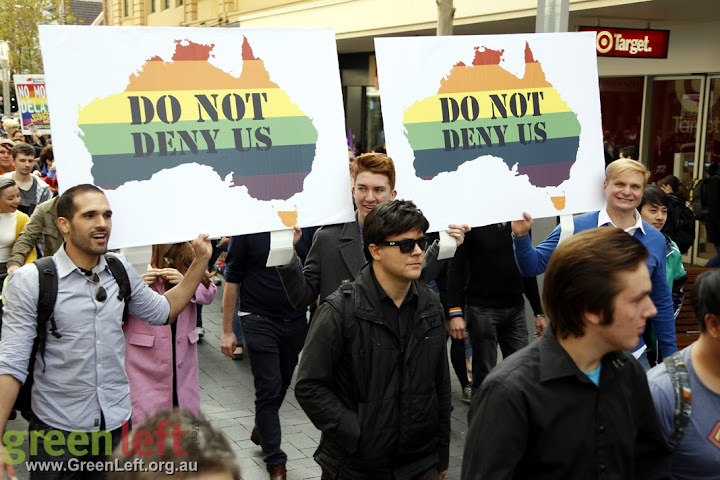 'Put the bill, pass the bill' was the message as 700 people marched through the streets of Perth in support of marriage equality on August 9. 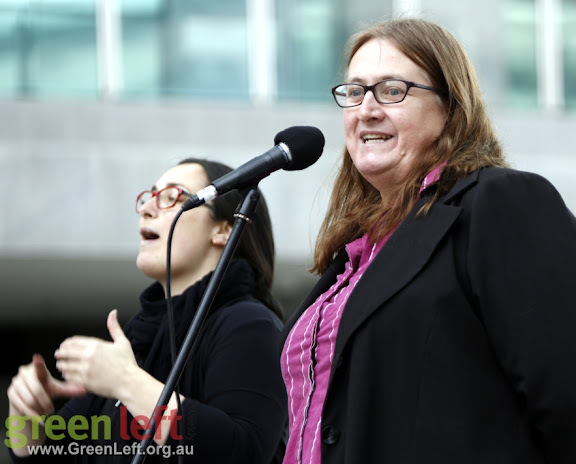 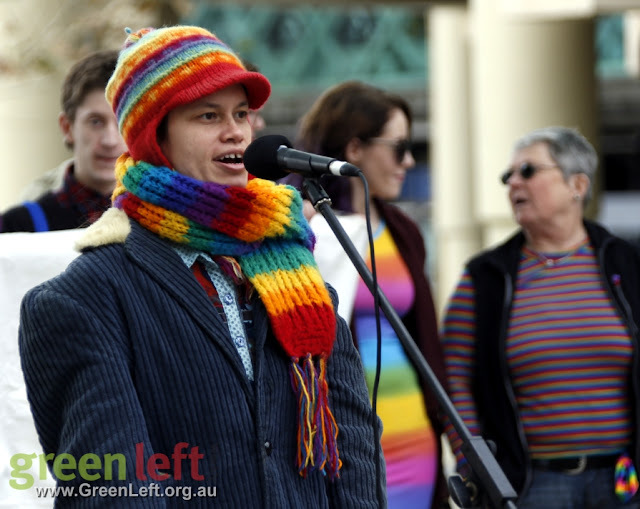 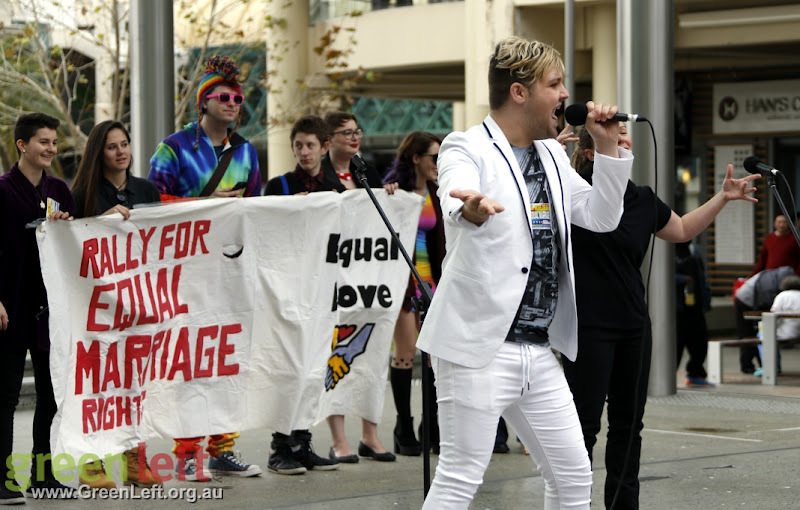 The rally began with a new song by Luke John O'Dell and featured speakers including Joey Cookman from Playgroups with Pride, trans activist Jayne McFadyen and Greens parliamentarian Lynn MacLaren. 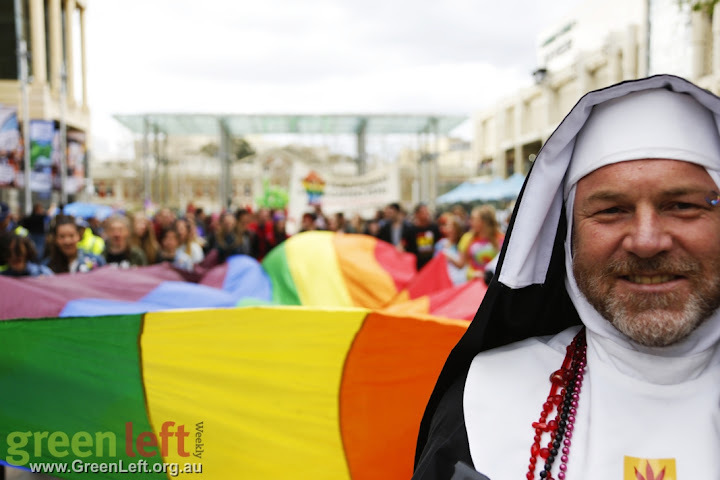 Australia's funniest prime minister Baloney Abbott made an appearance but was carried off by the Sisters of Perpetual Indulgence when his delaying tactics were exposed. 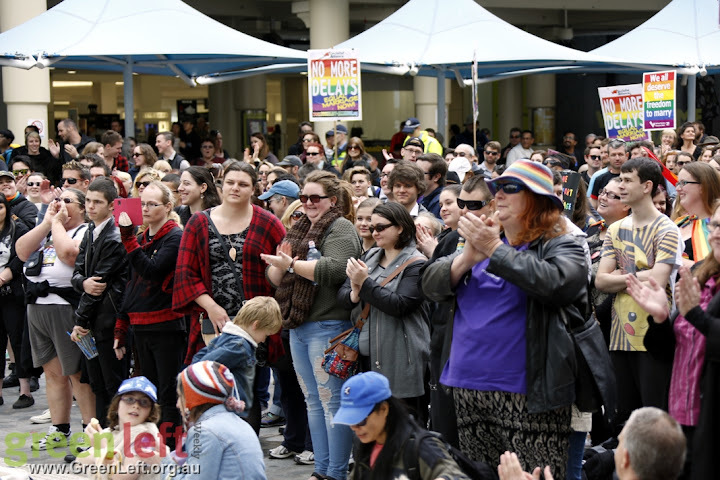 Rally co-chair Sam Cavallaro introduced Maritime Union speaker Danny Cain by asking how many people in the crowd had been inspired by the film Pride. 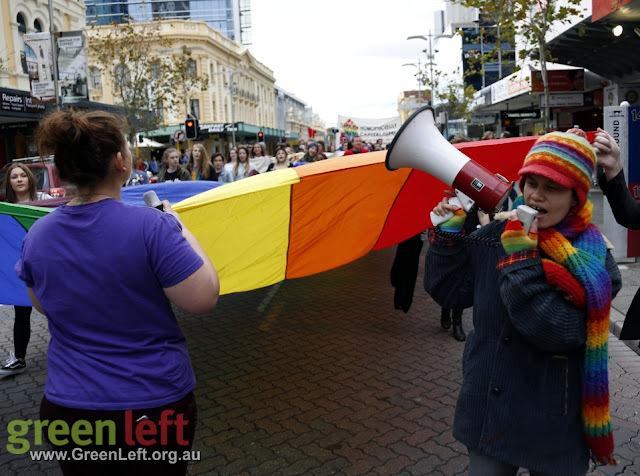 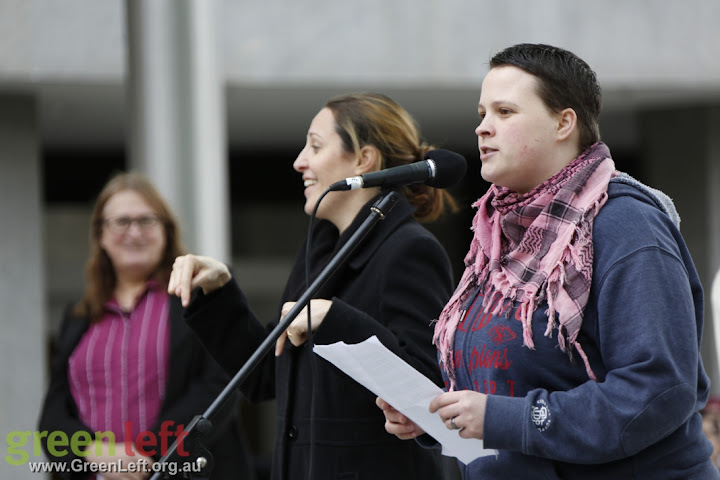 He pointed out the role of unions in supporting the movement for LGBTI liberation. 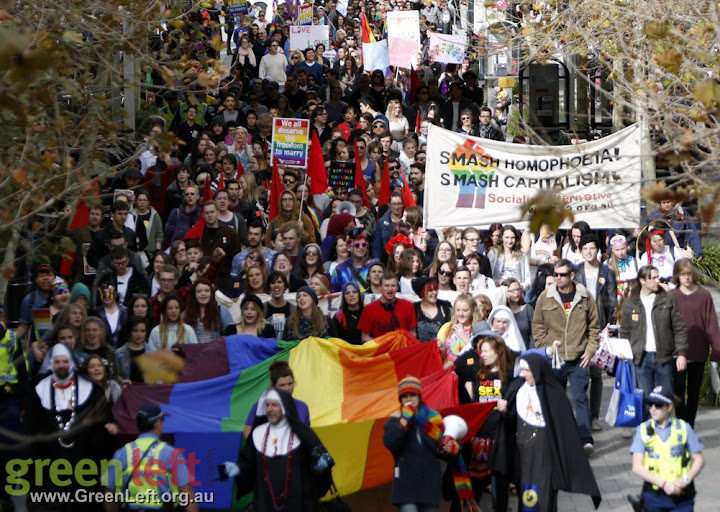 In his speech, Cain pointed out that the MUA supports marriage equality. 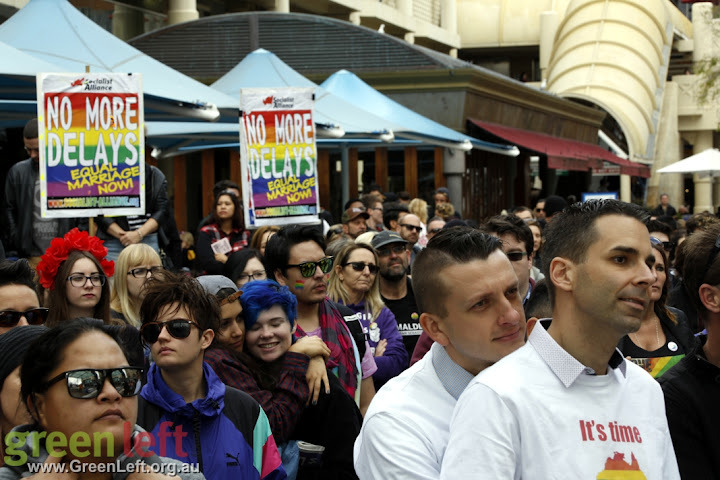 He said the attitude among MUA members had changed over the period since the Howard government first brought in the marriage ban with the support of the ALP.